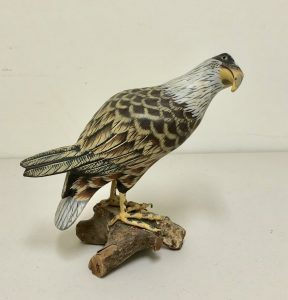 Beautifully hand carved and painted Bald Eagle, standing 9 1/4″ tall and 11″ long. Carver unknown, but marked ATLANTA in pencil on base. 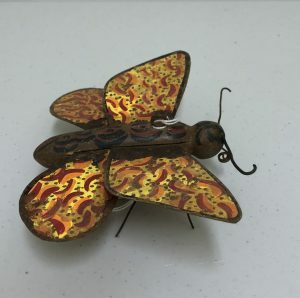 This dragon fly is a creative and charming ice fishing lure or decoy used in spear fishing in the upper Mid West! 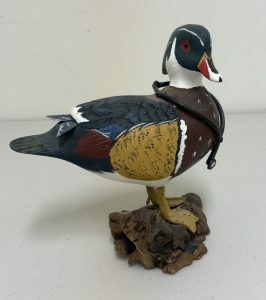 Large ice fishing “spearing” decoy display piece. c. 1980’s-90’s. 15 1/2″ long. 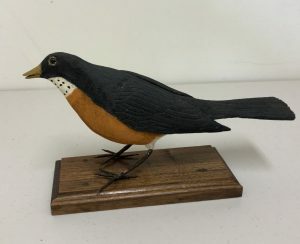 Carved by J. Stewart. 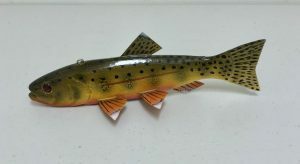 This lure is the real deal – crudely hand carved for use. 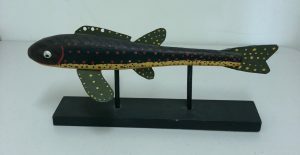 14″ long sturgeon, probably from Wisconsin. Crudely weighted underneath. 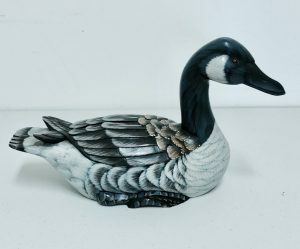 Beautifully carved and painted Canada Goose, c 1990’s. Carver unknown. 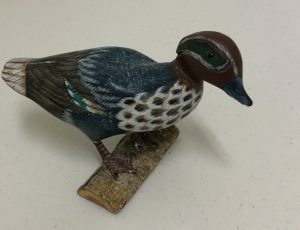 13″ long, 7 ” high to top of head.